Combine curry powder, salt and pepper in a small bowl. Blot chicken dry with a paper towel and cut into 1-inch cubes; toss the chicken in a medium bowl with 1 teaspoon of the spice mixture. Heat 2 teaspoons oil in a large nonstick skillet over medium-high heat. Add the chicken and cook, stirring every 2 minutes, until browned, 6 to 8 minutes total. Transfer to a plate. Heat the remaining 2 teaspoons oil over medium-high heat. Add onion, ginger and the remaining spice mixture; cook, stirring, until the vegetables are lightly browned, 4 to 5 minutes. Add coconut milk and honey; bring to a boil. Add half the kale (or chard) and cook, stirring, until slightly wilted, about 1 minute. Stir in the rest of the greens and cook, stirring, for 1 minute. Return the chicken to the pan, cover and cook, stirring once or twice, until the greens are tender, 3 to 5 minutes more. Remove from the heat and stir in lime juice. I found this recipe on eatingwell.com, the original recipe used tofu and delicate squash but I am not a fan of either. I went with chicken instead and the whole family loved it. 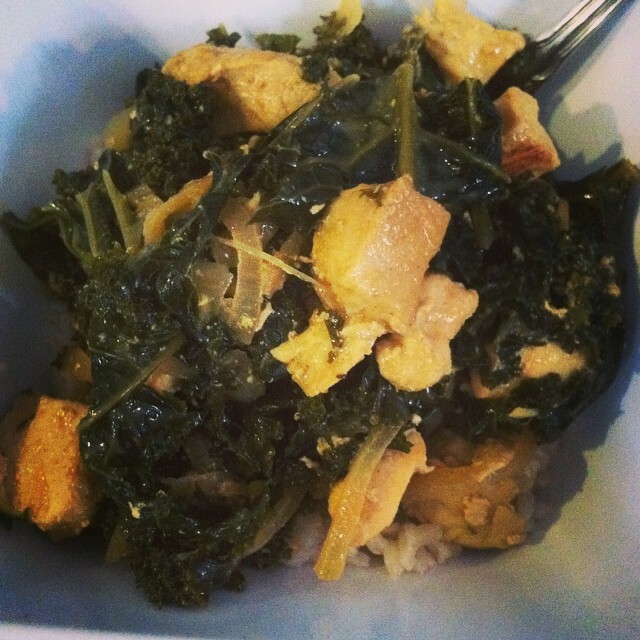 I served the chicken and kale curry with brown rice and it was a hit. I will definitely add this one to my list of recipes. Posted in Fab Mom, Health/Fitness, Recipes and tagged brown rice, chicken, coconut milk, curry, dairy free, eating well, gluten free, kale. Bookmark the permalink. 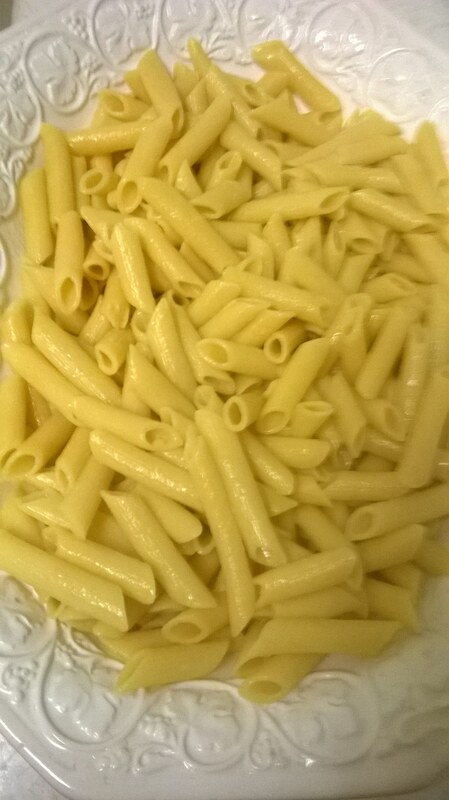 Boil pasta with 1 tablespoon of oil for about 10 minutes. Bake chicken leg quarters and then remove the skin and pull apart. I baked my chicken in advance to save cooking time. 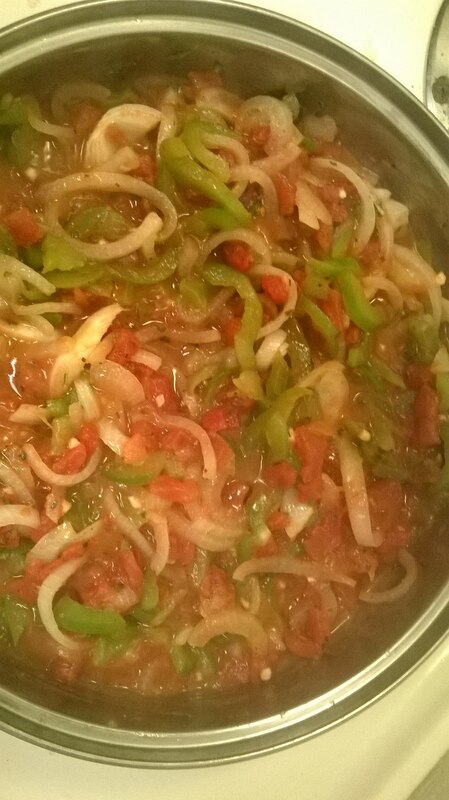 Slice the pepper and onion and set aside. Heat a skillet with remaining oil and sauté the onion and pepper. Add ginger, black pepper, salt, basil and diced tomatoes and cook to your liking. 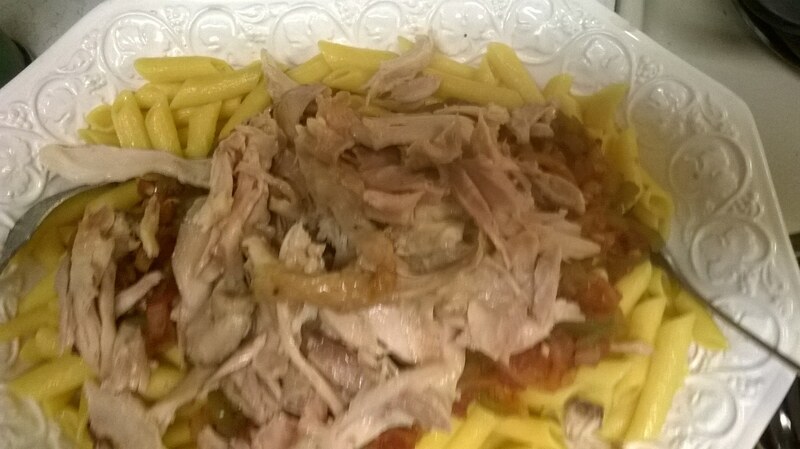 Drain cooked pasta and add the tablespoon of butter, the pulled chicken then the onion and pepper sauce. Garnish with parsley flakes and serve. This was a last minute dinner idea that I came up with after baking the chicken leg quarters. I was able to cook dinner and go on a nice 3 mile run with a friend. everyone loved how this turned out and I can’t wait to come up with another recipe that the whole family is going to love. 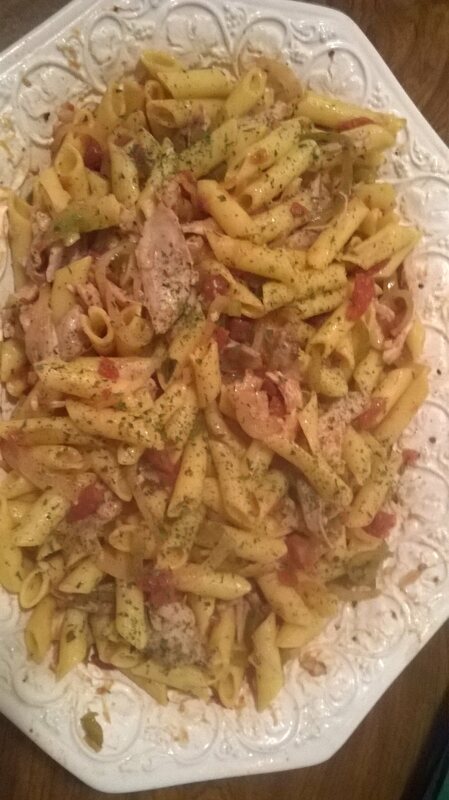 Posted in Fab Mom, Health/Fitness, Recipes, Uncategorized and tagged basil, Busy mom, gluten free, me time, onion, Penne Rigate, pepper, pulled chicken, running, simple family dinners. Bookmark the permalink. Punch down and divide into 2 equal parts. Form into loaves and place smooth side up in oiled loaf pans. Let rise until dough is above the rim of pans. (30-45 min) Bake at 350 degrees F. for approximately 25-30 min. Cheat trick: If you are using a bread machine, combine all the ingredients and place in the bread machine and set your machine for the appropriate setting. I used the quick bread setting for this bread. I usually use the dough setting and then bake it on my own. This bread came out better than I expected and I still have some of it. 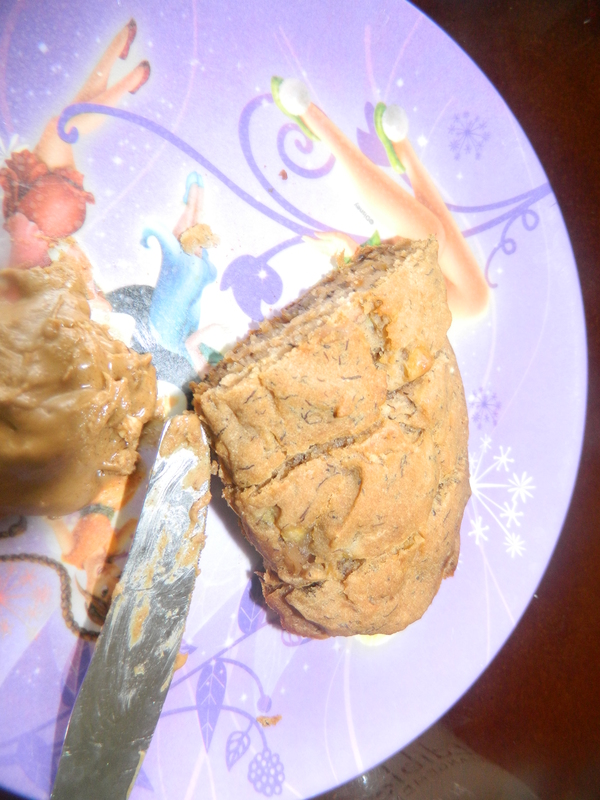 I am trying to make most of my baked goods from home because it is cheaper and safer. I keep reading about all the preservatives that are being added in foods and it sickens me to think that my kids were eating such harmful chemicals. I am constantly looking for new and healthy recipes. 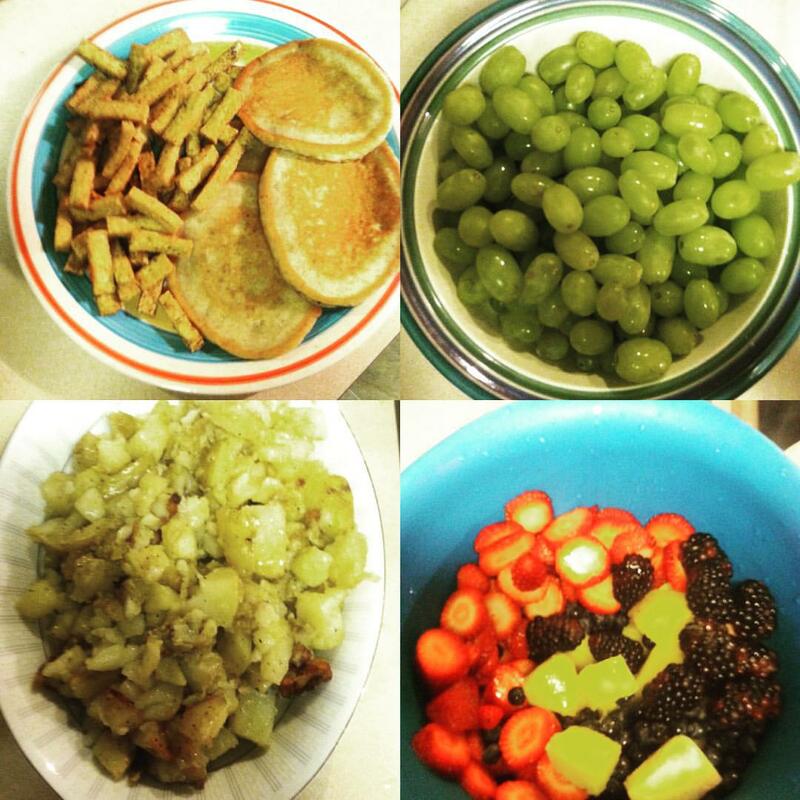 Posted in Health/Fitness, Recipes and tagged BHA, bread machine, Chemical free meals, eggless, gluten free, honey, soy bread. Bookmark the permalink. 1/2 cup chopped walnuts (I don’t use nuts because someone in my family has a nut allergy. I sometimes use raisins or dates in place of nuts. You can also add chocolate chips if you aren’t into raisins or dates. 1. Heat over to 350 degrees F; grease bottom of pan or pans and set aside. 2. In a large bowl, mix applesauce and olive oil. Add bananas, milk and vanilla. Mix very well before adding the flour, baking soda and salt. You can either add nuts, dates, raisins or chocolate chips now before you pour the batter into your pan or pans. 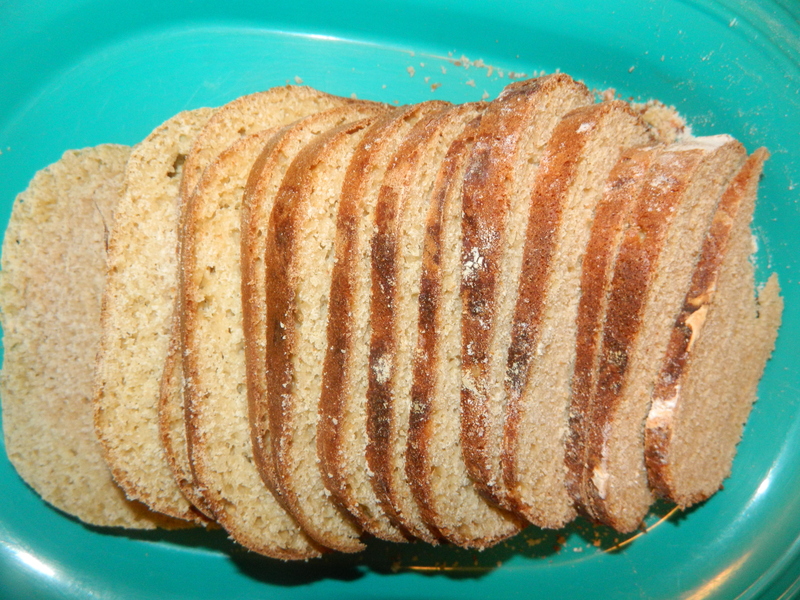 I used mini loaf pans…the kids love having their own individual loaves. 3. Bake until toothpick inserted in center comes out clean. Cool for 5 minutes in pan or pans on cooling racks. 4. Loosen sides of pan or pans, remove from pan or pans and place on cooling racks. * I wrapped mine and place in the refrigerator about 2 hours after baking. I warmed up each loaf for my kids for breakfast. This is an easy breakfast for those crazy mornings when we are short on time. This recipe makes about 12 servings and I always get requests for seconds so I think my munchkins love it. Well, I better get back to my little flower 🙂 Thank you for stopping by. Posted in Parenting, Recipes and tagged applesauce, betty crocker, dates, egg substitute, gluten free, nut free snacks, raisins, soy milk, sugar free snacks, vanilla. Bookmark the permalink.